.... Or you'll get swarmed. That's.... No.... That helps nothing with his durability, he still goes down in 1-turn. The lightning ppl, more lightning! When they raise the cap his counter chance goes to 115%. That will be awesome. I know he's not.... Breath. @Mstrdrgn1012 the reason people swarmed you with replies is not because of dooku, but because you contradicted youself in 12 words. Saying you didnt want to nerf him, and then asking for a nerf. That wont go well anywhere. Well...he doesnt really scare me when I see him. I have him capped on level, stars, gear, and abilities and I don't use him. But idk..
Dude. Don't disagree with me. Free speech. She would be so more valuable if it did. But this would make dooku's voter stun on Jedi work as well. 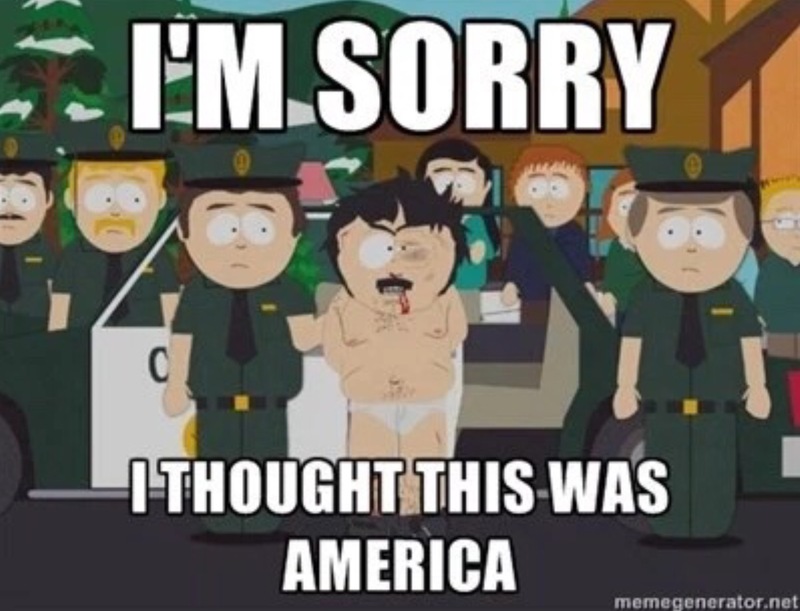 You felt the need to create a new thread because you got called out for contradicting yourself? Yeah I just read your other post. You were calling for a nerf in the title. Are you mental? Don't tell me what to do. Free speech. Grrrr..... I don't consider it a Nerf. I was considering the possibility of a different setup. Want him more durable... But you can't make him more durable and keep his counter/double atk rate. "I don't consider it a Nerf"
So yes, you're mental....got it, lol. Lol same trolls at it again. You know he's OP and broken. You just wanna keep your toys! Making a post about not making a post about a Dooku. Oh my god... I give up. I feel like you people read the first few lines of a chapter and ignore the rest. That's right funny memes and attacking people changes the fact Dooku is broken. Sorry guys if you imvest in Dooku your investing in a obviously broken character. You e been warned shelf him now or its your own fault! 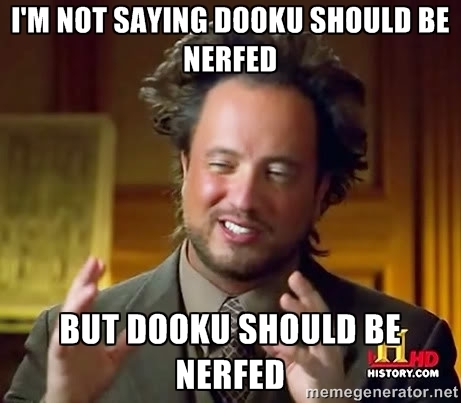 I have a fully capped Dooku I don't even use. He isn't in my GW or arena team. Yes he and DS deserve a fat nerf. Words have meaning. If you want his double riposte removed, that's a nerf. This isn't complicated. Words have meanings. I'm not. I say **** a week before everyone else. This has been discussed and I watched the trolls call me a liar. Seems there are a lot of liars or a lot of homers. You don't understand balance at all. Having different characters do different things is balanced, as long as they're not forcing everyone to use them or lose. Plenty of characters shut Dooku down with ease. Kylo, Daka, and Eeth Koth are all great ways to slow Dooku's roll. I notice you never posted video proof of all those multi-attacks in your thread that was very similar to this one, yet you're still on the NERF DOOKU QQ'ing bandwagon. Interesting. Ever thought of drinking a nice big cup of L2P? What's your Arena rank now?